Join us for a four course meal paired with maginificient Santa Barbara County wines! 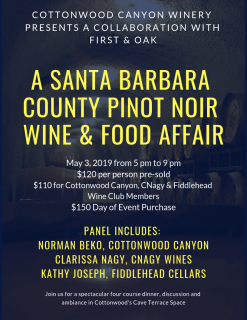 Dinner to include a panel discussion about all things related to wine with a special, hand selected four course menu by First & Oak. Space is limited! Reserve your experience today! 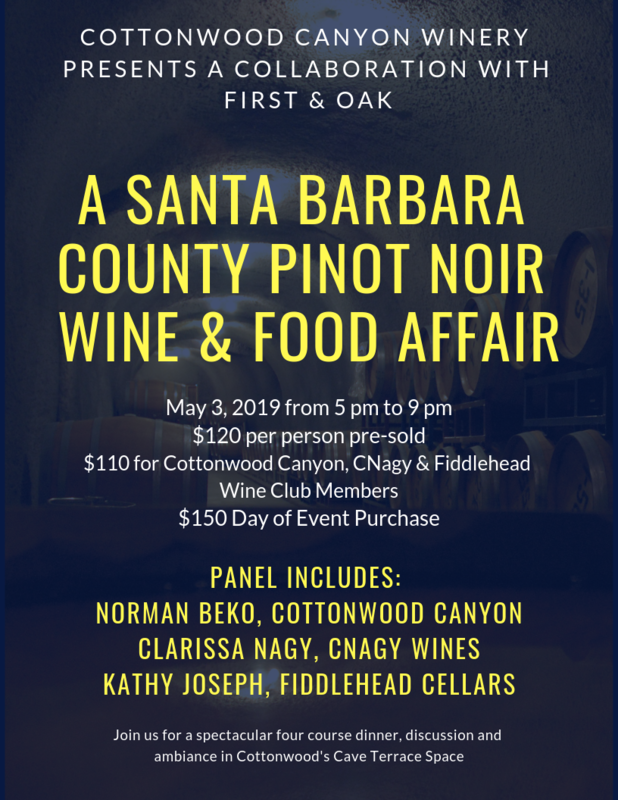 For more information, please contact Cottonwood Wine Club & Tasting Room Manager, Samantha Corder at 805.937.8463 or email at Samantha@cottonwoodcanyon.com. Wine Industry? No problem, contact Samantha Corder for our industry pricing.